Bordeaux with 2.75 carat Round Brilliant Center - 14k White Gold - Ring Size 7.0 was added to your cart. 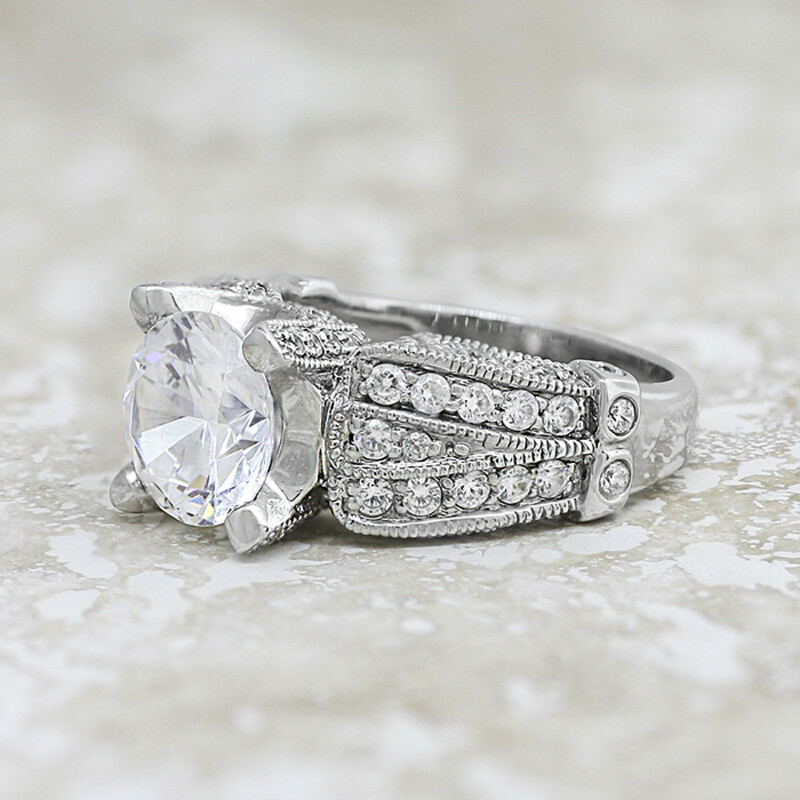 The Bordeaux engagement ring is lavishly detailed on every side. The 2.75 carat Round Brilliant cut Contemporary Nexus Diamond is held within four thick prongs that are set with sparkling accents along the profile. The band gives the illusion of a split shank with three rows of Nexus Diamond accents and detailed metalwork, including scalloped millgraine edging around the accents on the sides. 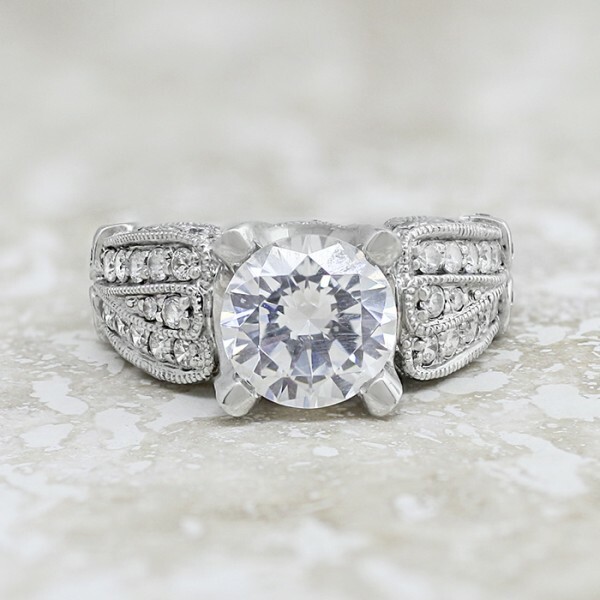 Though opulent, this ring has a relatively low setting with a smooth semi-shoulder design that will not snag easily.